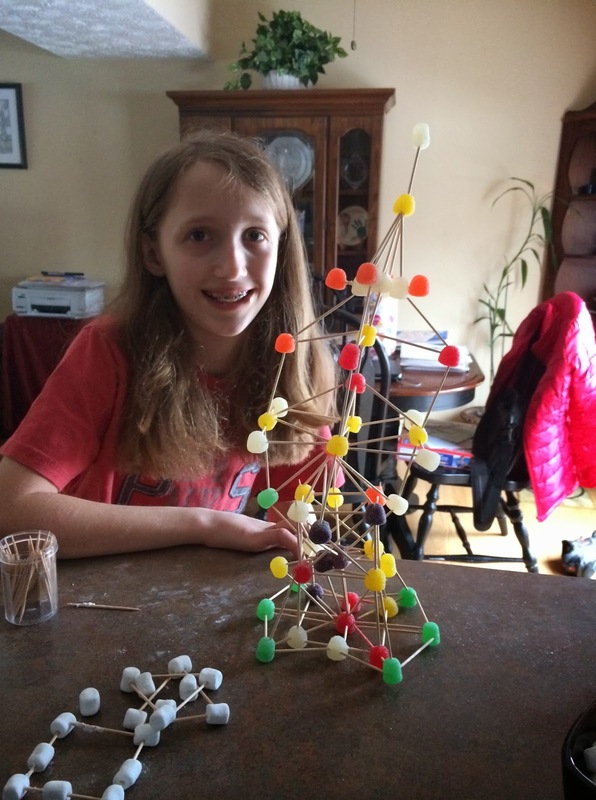 As I mentioned in my last post "A STEM-Style Snow Day, Part 1: The Precursor," I have been battling the techno-zombied-children in my own home. Sometimes the grown-ups too, including myself. I've been wrestling between using tech as a tool to teach (meaning I have to research such things to create dynamic EdTech lessons), and also using it as my own personal escape when I need to zone out from the barking dogs with a peek at Facebook, a text to a buddy, or continue a riveting game of "Words With Friends." I've seen the articles stating that kids on average spend 7.5 hours per day plugged in. I've seen how the hours per day in my own house have "upped" over the last few years (though, not quite that high). 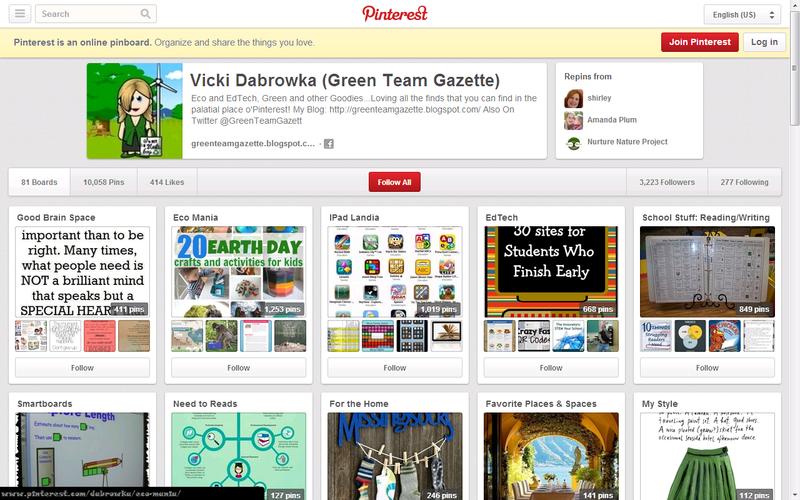 I started my Unplug: Tech Timeout Pinterest page, and I started looking for "cures" out there. "Creativity cures" to help us all unplug this snowy day, extended weekend with 5 days of no school. The outdoors of snow play with the dogs and even shoveling only got me so far. 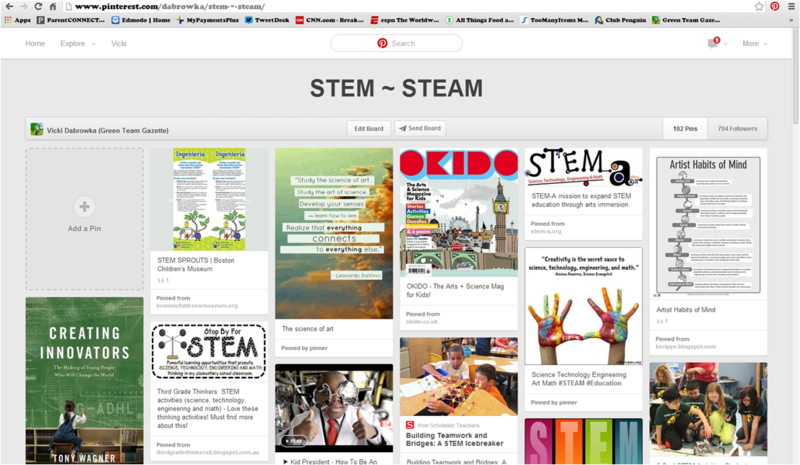 Another key for me was beefing up my STEM ~ STEAM Pinterest page. (For those who might be uncertain, check out my Jan. 27th post "E-STEM = Adding the Environment to STEM Education.") In doing so, I came up with some great classroom activities that I could actually bring into my home. Yes, we have the Legos and such, but it seemed my dynamic duo needed a little inspiration & creativity that can only come with seeing things in new light. 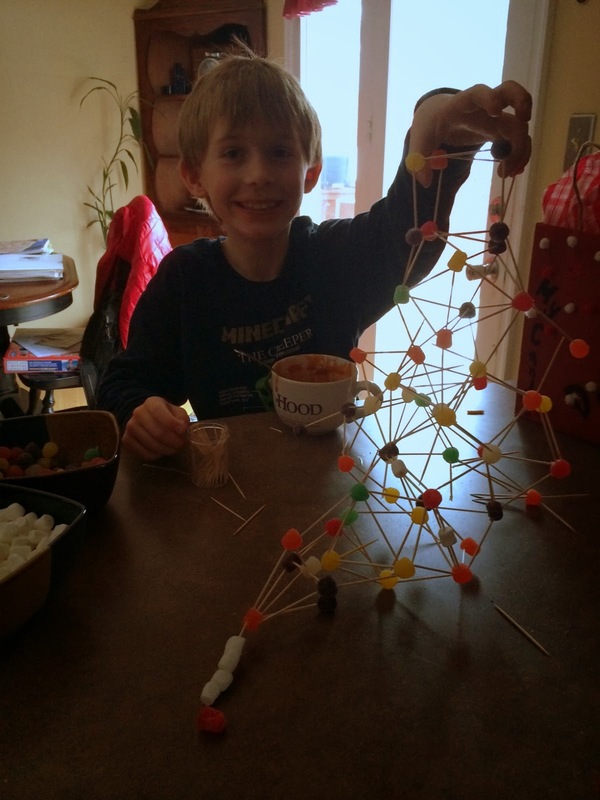 Hence yesterday we had "The Great Gumdrop Challenge." My daughter was quite curious when we were grocery shopping this morning and had to be sure to get gumdrops, marshmallows, and toothpicks. Both of my crew became interested when theses items came out in front of them on the kitchen counter in bowls. The task they would face: Create a structure using these 3 items. Judging would be based on a two part scale: height and creativity. The dual judging element seemed doubly inspiring. It was interesting to see them quickly determine that gumdrops were heartier than the marshmallows. They experienced geometry, gravity, problem solving, and changing their plans mid-flight (when gravity took over). The conversation along the way was also very interesting, as was they way they each approached it quite differently. 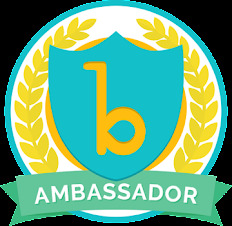 I think my biggest take-away is that kids (in particularly mine, but I would imagine most) need a little help in getting inspired to step away from the technology. It's the go-to easy, highly motivating obsession. But more than that, they need the tools to try something different, or to see their existing tools in a slightly new & shiny light. Of course, it's at this place that I chuckle....for I believe that's what actually is called "parenting." Likewise, it was a good reminder that sometimes quality learning comes with a little mess... and that's okay too! 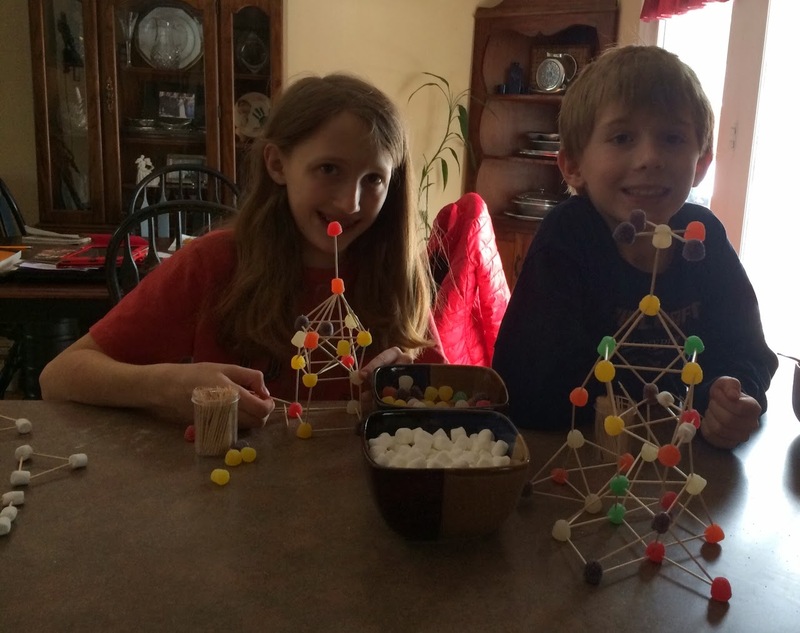 Pics from my house, my kids, their inventions.